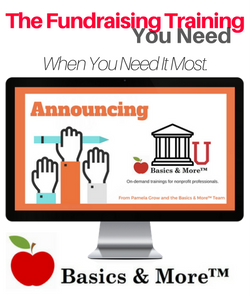 What’s the real secret to fundraising success? 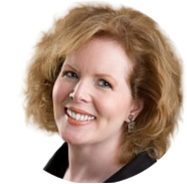 Last Friday #smNPchat featured guest expert Gail Perry to dish on major gifts in the small shop. If you’re unfamiliar with Twitter chats or the #smNPchat, you can find out more here. #smNPchat happens every other Friday and is hosted by yours truly. 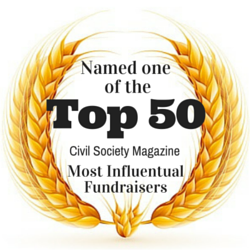 And it’s the only Twitter chat covering marketing and fundraising for the small nonprofit organization. Gail never disappoints. Lots of great information (and if you’d like to check out the transcript, you can find it here) but what it all boils down to is Gail’s mantra: If you want money, ask for advice. If you want advice, ask for money. 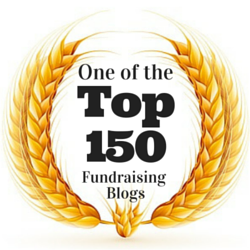 Friday’s chat may have been all about major gifts, but the lessons from that chat are a primer for great fundraising in general. 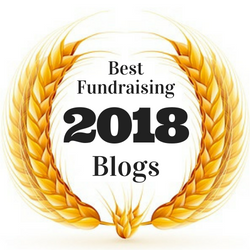 I’ve talked about this before, how, in my first development job, with no traditional nonprofit training whatsoever, I created a small survey that resulted in three new major donors. 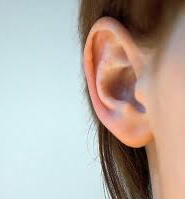 What are some ways the small nonprofit organization can listen? Regular surveys: think short, sweet and batching. If you’re not factoring in surveys when you’re developing your organization’s communication calendar for the year you’re doing your organization a grave disservice. What about sending out an email survey autoresponder to every new subscriber to your organization’s enews, 30-40 days after subscribing? 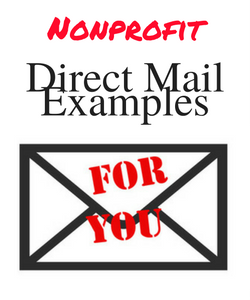 Think about sending out one page direct mail surveys, every other week or so to 10-50 donors depending upon the size of your database. Schedule time for visits. Was I ever delighted to hear from a prospective client that she’d be spending a day delivering home-baked banana bread to donors! Open up your site for regular tours. 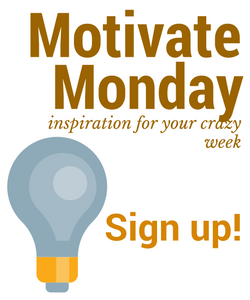 Could you host 3-4 mini “get to know you” events at your agency throughout the year? A word about survey length. People love to give their opinions when asked. Very few people have the time or inclination to spend much time filling out a lengthy survey. Keep it short, sweet and simple. And an incentive to respond can’t hurt. Spend a few bucks for Starbucks or Amazon gift cards. It won’t break the bank. While Gail noted that getting out of the office can be a huge impediment to success, I’ve just given you several other very do-able items for those times when getting out is tough. By learning how to be a great listener you’ll be attracting your donors, rather than seeking them out. And you’ll be surprised at their response. Keep up with #smNPchat by liking us on Facebook! 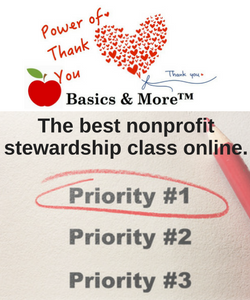 How can your small nonprofit learn the donor-centric basics for successfully funding your mission? 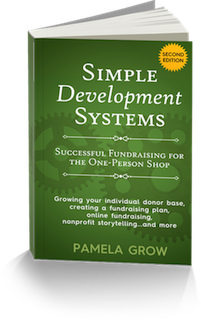 Simple Development Systems has been called the “Bible” for the donor-centered one-person development shop! Love the survey ideas, Pamela. 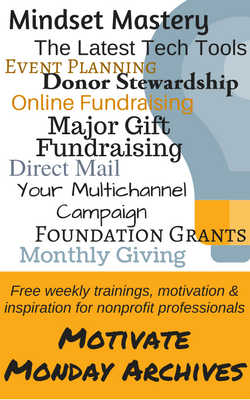 Small organizations may not know that the average major gifts fundraiser at a large institution makes 7 to 10 visits a month to prospective donors. 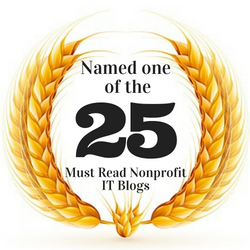 Most small nonprofits I know could barely claim that in a year! Wondering why so few gifts coming in? I’m with Gail on getting out of the office. Thanks for commenting Gayle. Oh, I am WHOLEHEARTEDLY with Gail as well. 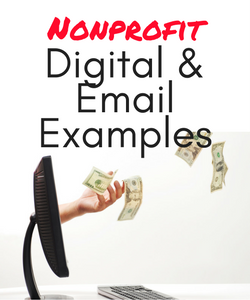 These examples offered were meant to be in addition to – or as a start for the more reticent fundraiser :). I’ve heard it said that we have 2 ears and 1 mouth – use them accordingly. 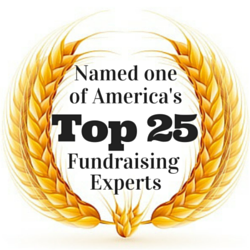 I think listening to donors and prospects is the best skill to develop for a Fundraiser. Great list of opportunities, Pamela. I’d like to add one more that I hear from my clients. Follow up visits with donors after a charity auction – or gala or other event. 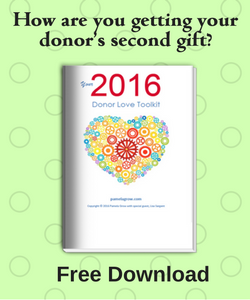 By mere attendance, donors are showing support of your nonprofit. When development directors follow up a night’s event with a visit in the following weeks, the doors are open to bigger conversations – or listening opportunities. Such a wonderful reminder, Sherry – thanks for posting. This is great. Really useful list. We implemented a practice of sending an auto-responder email to everyone as soon as they join our list, with a link to a very short survey. The email says “thanks so much for joining, will you please take a moment to tell us about yourselves…” The survey asks for name, gender, age, occupation, and how you heard about us/why you’re interested in getting involved. The results have been amazing. Approximately 50% of people signing up fill out the survey. We learn crucial demographics info about our supporters, we start a listening conversation, and we’re also able to quickly identify those who are ready to jump a few rungs on the ladder of engagement. Giving USA 2014 | Where should you be putting your efforts? Next post: End-of-year appeals are out – it’s time to redo your thank you letters!